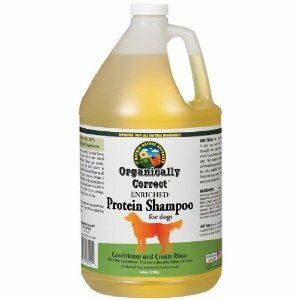 You may think that a professional groomer, and I do emphasize professional, would take pains to keep her own dogs in top-notch, lemon-fresh, sparking clean condition. My dogs spend so much time scrapping around in the wilderness area that is our backyard that keeping them clean is a lost cause. It generally doesn't even occur to me that there is a way to have them smell other than like muddy fritos. And when it does, the idea of a bath hits me like an epiphany. I realize that a dog bath, with all its connotations of sudsy hedonism, is not just something the "other half" gets to enjoy while I, the grunt laborer, toils away to bring them this indulgence. Oh, no! 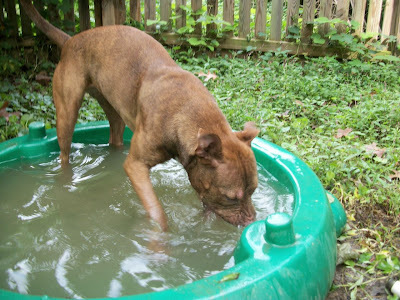 I have the skills, the products, and yes even the will to stick my own scrappy pit mix rescues in the tub and launder them like they were labradoodles. So the other night, in preparation for our TTouch session with Pam, which I contemplated with horror when I imagined Pam's hands after an hour of doing circles on Sandy's scrappy self, we did just that with our little rescue frito. Into the tub with Sandy, and a bit of Organically Correct Enriched Protein Shampoo for Dogs later we had ourselves a sudsy little squirt getting nice and squeaky clean. Sandy was pretty good in the tub; she didn't seem to mind getting lathered up. 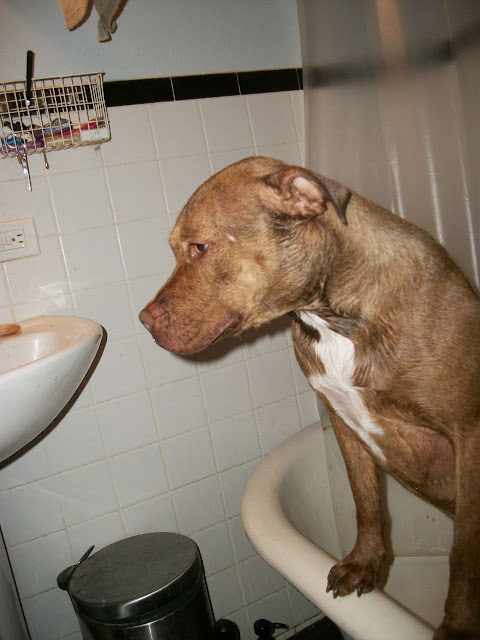 She did want to get out of there a bit before she was done, but more in the way of a curious puppy wanting to move on than in the way of a tragic figure who has been forever scarred by the traumatic experience of being bathed, like many of my clients. After a while she even started realizing how much fun a bath can be, and playing in the water like a goofy little puppy. Hey, this sudsy almond-smelling wet stuff is really almost exactly the same as the muddy, dank-smelling wet stuff in the backyard! The reward for our labors is a sweet-smelling, cuddly little pup who is, if possible, even more kissable than before. I love your tubby posts! 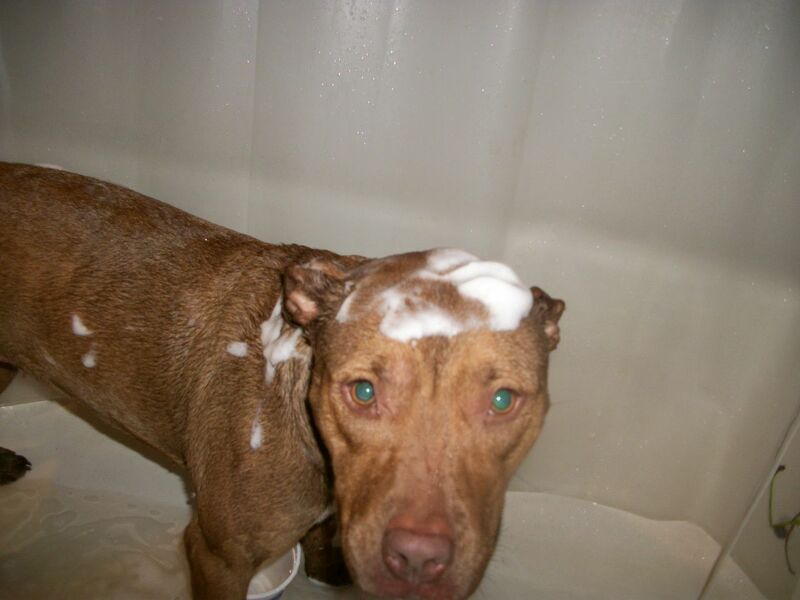 and Sandy looks so sweet getting her bath. Muddy Fritos...genius description. 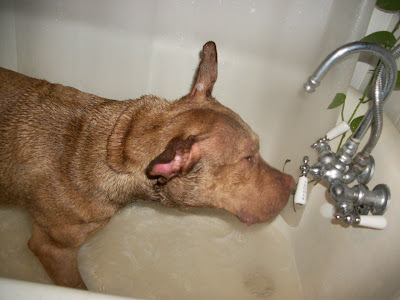 I wish that my dogs realized that the bath can be fun - instead they act like I am slowly torturing them. I always feel so bad! Awwwe! Sandy shined up like a new penny! LOL! Hi Kirsten, all of us went to the groomers last Saturday but we don't get bathed there. Mom or dad stay with us while Audrey brushes and combs out the knots, clips our nails and the hair on our pads. Then we go home and nap. So anytime you want to venture up to give us a bath, let us know :) Good job on Sandy. We know that frito smell very well! Good bath photos! Sandy looks so patient! We tagged you on our blog and would like to invite you to participate. Yep! We just get the hose-down. Sandy's a lucky dawg!! Oh well done Sandy on enjoying your bath! (Shiver.) Okay, I'm gonna go ahead and delete this postie before my mom reads it. I don't want her getting any KER-AZY ideas. Can't even imagine trying to lift Our Best Friend into a tub against his will. He gets washed in the back yard with a hose in the summer. In the winter he just stays dirty. 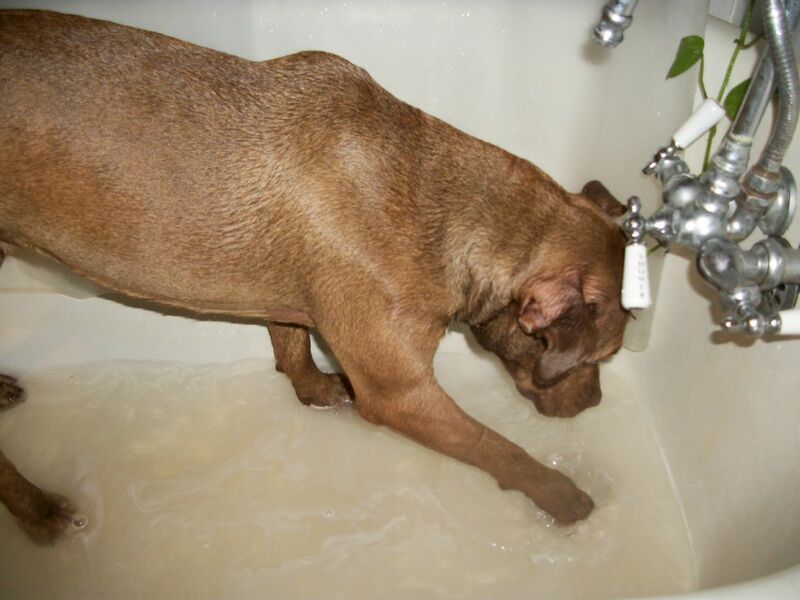 Sandy, you look nice and squeaky clean and we bet you smell great, too! Wow, Sandy you are looking GREAT!!! I had a bath this weekend, too. Awww, Sandy is sooo beautiful. I was originally interested in meeting and hopefully adopting her, but I thought she was in the process of being adopted out. We are meeting an applicant this weekend! Please feel free to file an application with Jasmine's House though; if it doesn't work out we will let you know! Awesome! I am very happy for her. I hope it works out. I filled out an application and I am meeting Sam in the near future. Thanks for blogging. I really enjoyed reading about your adventures with Sandy.